Product #5780 | SKU FAC15001 | 0.0 (no ratings yet) Thanks for your rating! The F6 camera features interchangeable focusing screens. The type "B" interchangeable focusing screen has a matte/Fresnel field, AF marks, and 12mm microprism collar. 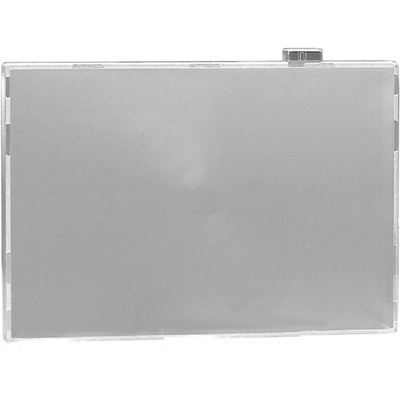 This standard replacement focusing screen offers unobstructed viewing and easy focusing on its overall matte surfaces. Box Dimensions (LxWxH) 2.5 x 2.2 x 0.7"